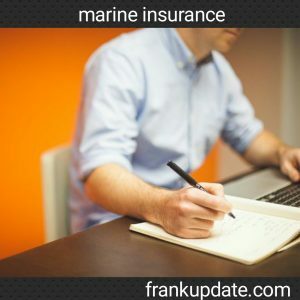 marine insurance is a nice article to read up. There is a standard policy known as SG form, in which both the parties has the right to use if they wish to do so. In some countries it is mandatory for every ship owner must have marine insurance to ensure that all the risk can be managed without the lack of monetary fund's when needed. We have hull insurance that is mostly taken by the owner of the ship in other to protect his or her boat against loss of vessel in case of any mishaps occurring. We also have machinery insurance that protects all the importance machinery against any damage of machine, so that the insurer will be given compensation for his loss goods. Remember that the two types of marine insurance mentioned above fall under hull and machinery insurance that covers war risk. We also have different types of the policy governing marine insurance. These policies include; voyage policy which is a marine insurance policy that is meant to cover a particular voyage. There is a time policy that is valid for a specific period but it is usually valid at a year. Another one is a mixed policy that includes both the time policy and voyage policy altogether at the same time is known as a confused policy. We have a valued and unvalued policy. A valuable system is a situation where the worth of cargo, and consignment has been included at policy document beforehand thereby making everything to be well clear in case of any loss, but in unvalued policy, the value of cargo and consignment are not included in policy document beforehand. thereby, making it be confused. We have a port risk policy which is used to make sure that ships are well protected against any loss or damage, while it is still at the station in the port. We have free insurance. This is a branch of marine insurance, in which only the amount of claim materials are specified while the other details are omitted till when the ship is back from its journey. There is a single policy which is meant for a person that has one ship in different fleets. hope you understands the meaning of marine insurance. REMEMBER TO DROP YOUR COMMENTS AND QUESTIONS.